T3 State Cups - Both Boys and Girls tournaments postponed to end of season. The new registration system is now working well. We invite all returning players to register now. New players may attend up to two training sessions first. If you have any problems, please email: registrar.kjsc@gmail.com. Too late for season 2018 but want to play in 2019? Yarra Jets gala day - what a day! Yarra Jets hosted us for a day of soccer with all ages from u8s to u16s. And it was FUN! Provisional training times for the season plus coaches and contact details. Registrations for season 2014 are now open! Please pass on to other girls who may be interested. 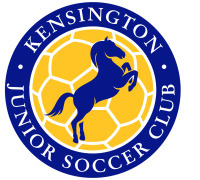 Interested in coaching at Kensington Junior Girls in 2014? Looking for things to do in school holidays? New under 11 fixtures for this weekend (19/5) - Just announced! Best goals from Women's 2011 World Cup to get you in the mood !